As I had mentioned before, my craftiness had come to somewhat of an impasse. The koala didn’t get any more work – which no one seems to mind cuz it turns out heaps of other people hate koalas too; so pleased! – and my socks just had dribs and drabs here and there whilst on transport. I started a crochet sock; pulled it out. I started a beanie; pulled it out. I just wasn’t feeling it. You wanna what I was doing though? Video games. I was definitely feeling that. Sakura! Street Fighter IV for the win! In the last month or so, I’ve finished Dante’s Inferno, Fable II, Mirror’s Edge, Bayonetta, and Devil May Cry 4. I wasn’t really sure what else to play, so I hooked up the Wii and started Legend of Zelda: Twilight Princess. Which was garbage. I mean, it might have been alright a few years ago, but on a pretty vast HD LCD screen, the graphics looked like dookie, the controls were clunky, and it was just. so. BORING. So, I was like “I’ma trade in some games, y’all!” And I did! I now have Street Fighter IV and Alan Wake for Xbox to get through. I’m so obsessed with SFIV; the art direction is so yummy, it’s totally seducing my eyeballs. 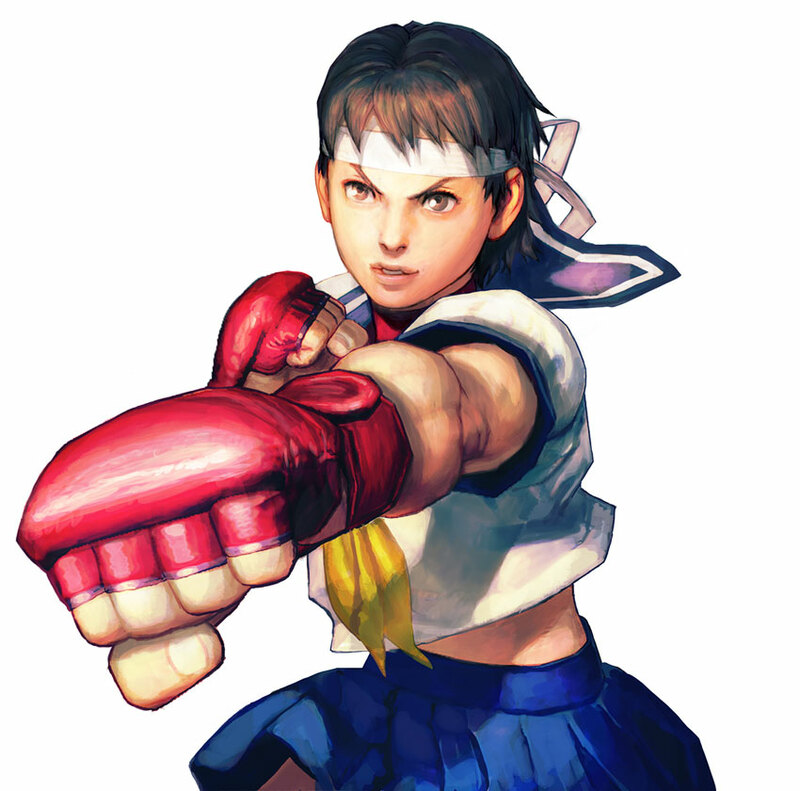 The picture above is Sakura, one of my favorite characters! Sure, she’s a little Japanese school girl in a sailor-style uniform, but she’s not overtly sexualized like other game characters, and her personality is so happy and fun. I know, I know, I’m bad. The thing is, when I finish a video game, I get the same sort of satisfaction as when I finish a crochet project, so I feel like I haven’t wasted my time. And in that sense I suppose I haven’t, I just don’t have anything to show for it. But there is good news for all of y’all who don’t care what I’m yammering about unless it’s something yarn-y. Cuz I’m back in the zone, y’all! First of all, I had earmarked some patterns on Rav to get my inspiration going, and I found these gorgeous Totoro mittens by Brella. 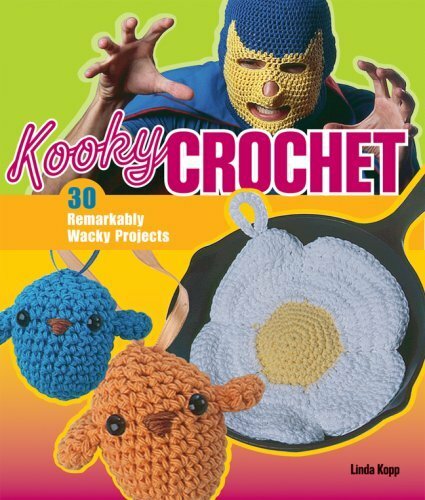 Then, while I was at work on Monday, I was flipping through a book called Kooky Crochet by Linda Kopp. I use the word kooky all the time, partially because it’s so versatile, and, well, this book does use the term faaaairly liberally. However, a lot of the items are quite fun, and it’s just refreshing to find a crochet book that isn’t all blankets and tacky singlet tops. I might review it later, but I won’t go too much into it now. Anyhow, I asked my manager if I could make the Lucha Libre you can see on the cover for the section in our store we like to call “Manland”, and the chicks for Easter, as well as some cool felted fortune cookies; the answer was yes! I’m pretty excited. I’ve started the mask, but I won’t show you pics of that yet; it’s just a blue disc. I would definitely make some changes if I were making it for my own benefit, but since it’s a sample, I’ll just to the pattern to the letter for now. And finally! I had made my Ma a beret for her birthday, but I was really unhappy with how it turned out. It was too late to make her something else in time, so I just gave it to her anyway. She said she loved it, but I guarantee she’ll never wear it. In fact, I hope she doesn’t. I’ve been determined to find something else to make her anyway, and I found this beautiful pattern from Ysolda Teague, who I absolutely adore. 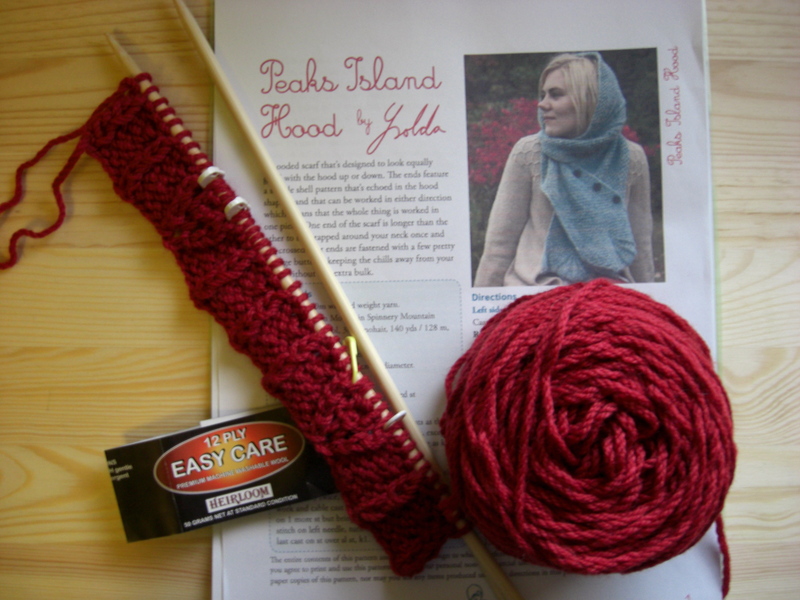 It’s called the Peaks Island Hood, and it’s a scarf that converts into a hood as well. I was umming and ahhing about it for a ages, but I finally bought it and today I bought some new needles and yarn and cast it on. 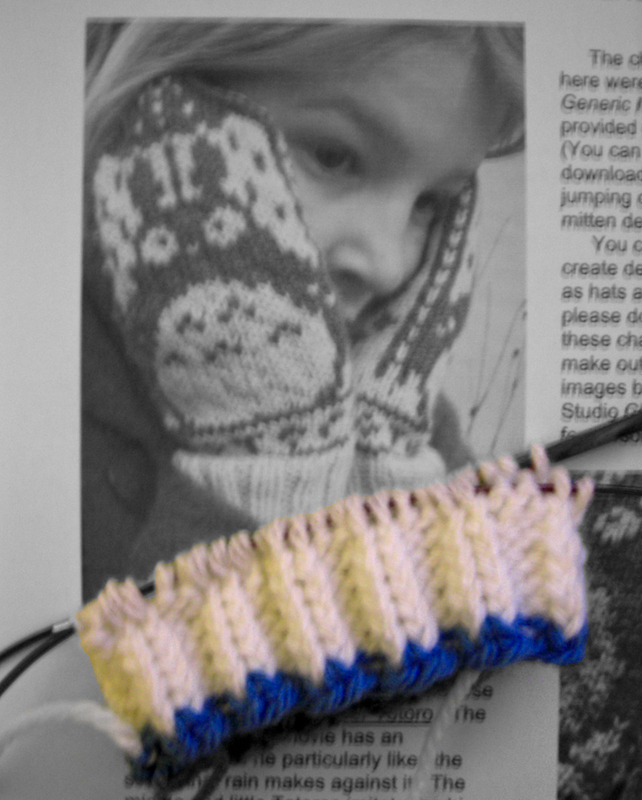 I’m up to about row six I think, and I’m loving it so far. I can already see a few mistakes I’ve made with twisted stitches and a few weird things, but nothing I’m concerned enough about to rip back. It’s a learning experience, and I’m just trying to accept that. It’s definitely making me think a lot more about the architecture of stitches and patterns, and that’s really great. I’m just frustrated that it’s not as easy for me as crochet, but I’ve been doing that for years, and I’m just picking up knitting for the first time since primary school. Just breathe, Raynor… chillax! Oh Raynie! I love reading your blogs about your craftiness & video games cuz that’s pretty much our life too:) Street Fighter is awsome!! Tony my fiancé even got the mega arcade stick with Chun Lee on it. Boys! lol! But yes, Alan Wake was freaky!!! I loved one! But Zelda twilight princess was awsome for me…but then again I did play it when I barely came out. and your hooded scarf/wrap! I think your mom would adore that fo sho!